Robinson, K.F., A.K. Fuller, J.E. Hurst, B. Swift, A. Kirsch, J. Farquhar. 2015. A structured decision making approach to white-tailed deer buck harvest management in New York State. Summary of Findings to the New York State Department of Environmental Conservation, Albany NY. 207 pp. Robinson, K.F., A.K. Fuller, M. V. Schiavone, and B. Swift. 2015. A structured decision making approach to mitigating wild turkey population decline in New York State. Summary of Findings to the New York State Department of Environmental Conservation, Albany, NY. 27 pp. Harrison, D., S. Olson, D. Mallet, A. Fuller, and J. Vashon. 2014. Relationships among forest harvesting, snowshoe hares and Canada lynx in Maine. Cooperative Forestry Research Unit: 2013 Annual Report. University of Maine. Roth, B.E. (Ed.) Orono, ME. 80 p.
Nadeau, C. P. and A. K. Fuller. 2014. Managing species of conservation need in the face of climate change: a landscape and trait based approach, Interim report. U.S. Geological Survey, New York Cooperative Fish and Wildlife Research Unit, Department of Natural Resources, Cornell University, Ithaca, NY, USA. Harrison, D., S. Olson, D. Mallet, A. Fuller, and J. Vashon. 2014. Relationships among forest harvesting, snowshoe hares and Canada lynx in Maine. Cooperative Forestry Research Unit: 2013 Annual Report. University of Maine. Roth, B.E. (Ed.) Orono, ME. 80 p.
Kurzawski, K. F., W. L. Fisher, D. Miller, and J. L. Long. 2013. The 2012 Salary Survey of Public and Private Sector Fisheries Employers in the United States and Canada. Fisheries 38:00-00. Harrison, D., S. Olson, D. Mallet, J. Vashon, and A. Fuller. 2012. Relationships among commercial forest harvesting, snowshoe hares and Canada lynx in Maine. Pages 95-98 in B. E. Roth (Ed). Cooperative Forestry Research Unit: 2011 Annual Report. University of Maine, Orono, ME. 111 pp. Fisher, W. L. 2012. The functioning AFS network. Fisheries 37(8):339,379. Fisher, W. L. 2012. Integrating ecological and social networks in fisheries. Fisheries 37(7):291. Fisher, W. L. 2012. Social networks: their role in fisheries. Fisheries 37(6):243. Fisher, W. L. 2012. Ecological networks: their role in fisheries. Fisheries 37(5):195. Fisher, W.L., Seilheimer, T.S., and Taylor, J.M., 2012, Biological assessment of environmental flows for Oklahoma: U.S. Geological Survey Open-File Report 2012–1114, 43 p.
Fisher, W. L. 2012. Our international connections. Fisheries 37(4):147. Fisher, W. L. 2012. Our changing professional society. Fisheries 37(3):99, 141. Fisher, W. L. 2012. The value of meetings. Fisheries 37(2):51, 89. Fuller, A.K., Royle, A.J., and Madon, B.M. 2012. Study plan investigation of mink abundance relative to polychlorinated biphenyl (PCB) contamination within the Hudson river drainage. Draft report to the Hudson River Natural Resource Trustees. 15 February, 2012. 74pp. Fisher, W. L. 2012. Why join AFS? Fisheries 37(1):3. Fisher, W. L. 2011. The changing fisheries education adn employment connection. Fisheries 36(12):581, 622. Fisher, W. L. 2011. How large is AFS? Fisheries 36(11):529, 572. Vashon, J., D. Harrison, A. Fuller, D. Mallet, W. Jakubas, and J. Organ. 2011. Documenting the response of Canada lynx to declining snowshoe hare populations in an intensively managed private forest landscape in northern Maine. Pages 49-51 in Mercier, W. J. and A. S. Nelson (eds.) Cooperative Forestry Research Unit: 2010 Annual Report, The University of Maine, Orono. Fisher, W. L. 2011. Collaborative networks and AFS: how strong are our connections. Fisheries 36(10):477, 520. Fisher, W. L. 2011. Fisheries networks: building ecological, social, and professional relationships. Fisheries 36(9):425, 468. Fuller, A. K., and D. J. Harrison. 2011. A landscape planning initiative for northern Maine using area-sensitive umbrella species. Final report to the Maine Chapter of The Nature Conservancy. 133 pp. July 20, 2011. Eaton, MJ, JA Royle. 2010. Use of simulation to provide guidance for design of a telemetry study for detecting survival of shorebirds affected by contamination from the Deepwater Horizon oil spill in the Gulf of Mexico. USGS, Patuxent Wildlife Research Center. Vashon, J., D. Harrison, A. Fuller, D. Mallett, S. McLellan, W. Jakubas, and J. Organ. 2010. Documenting the Response of Canada Lynx to Declining Snowshoe Hare Populations in an Intensively Managed Private Forest Landscape in Northern Maine. Pages 57-60 In Meyer, S. R. (Ed.). Cooperative Forestry Research Unit: 2009 Annual Report. University of Maine. Orono, Maine. 82p. Fisher, W. L. 2010. Black bass distribution, abundance and management in eastern Oklahoma streams. Final Report, Federal Aid Grant F-77-R, Oklahoma Department of Wildlife Conservation, Oklahoma City, OK.
Vashon, J., D. Harrison, A. Fuller, D. Mallet, S. McLellan, W. Jakubas, and J. Organ. 2009. Documenting the response of Canada lynx to declining snowshoe hare populations in an intensively managed private forest landscape in northern Maine. Maine Cooperative Forestry Research Unit 2008 Annual Report, University of Maine, December, 2009. Turton, D., W. Fisher, T. Seilheimer, and R. Esralew. 2009. An assessment of environmental flows for Oklahoma. Final Report for Oklahoma Water Resource Research Institute. 63 pp. Fuller, A. K., and D. J. Harrison. 2009. Home Range, Habitat Use, Edge Relationships, Mortality Sources, Age Structure, and Survival of White-Tailed Deer on Mount Desert Island, Maine, 1992-1994. Final contract report to: Resource Management Division, Acadia National Park and Natural Resource Stewardship Science Office, National Park Service. October 2009. 70pp. Seilheimer, T. S., and W. L. Fisher. 2009. Instream flow assessment of Mill Creek, a stream draining the Arbuckle-Simpson aquifer. Final Report, Oklahoma Water Resources Board, Oklahoma City, OK. 43 pp. Eaton, MJ. 2009. Species status assessments for Central and West African Crocodiles. IUCN-SSC Crocodilian Action Plan. IUCN, Gland, Switzerland. Lorensen, J., W. L. Fisher, and J. R. Bidwell. 2008. Effects of Dredging and Dike Notching on the Aquatic Biota, Habitat, and Water Quality of the McClellan-Kerr Arkansas River Navigation System. U. S. Army Corps of Engineers, Little Rock, AR. 17 pp. Seilheimer, T. and W. Fisher. 2008. Instream flow assessment of springs and streams draining the Arbuckle-Simpson aquifer. Final Report, Oklahoma Water Resource Board., Oklahoma City, OK. 49 pp. McGowan, K.J. and K. Corwin, eds. 2008. The Second Atlas of Breeding Birds in New York State. Cornell University Press, Ithaca, NY. Brinkman, E., and W. L. Fisher. 2008. Distribution and Ecology of Alligator Gar in Oklahoma. Final Report, Federal Aid in Sport Fish Restoration Grant F-62-R, Oklahoma Department of Wildlife Conservation, Oklahoma City, OK. 21 pp. McBee, W. L. Fisher, and A. Finchum. 2008. Digital atlas of Oklahoma mammals: data capture and georeferencing of OSU Collection of Vertebrates. Final Report, State Wildlife Grant T-29-P, Oklahoma Department of Wildlife Conservation, Oklahoma City, OK. 10 pp. Boyer, T., and W. L. Fisher. 2007. Economic Impact of Trout Fishing on the Lower Illinois River on the Economy of Sequoyah County, Oklahoma. Final Report, Federal Aid in Sport Fish Restoration Grant F-58-R, Oklahoma Department of Wildlife Conservation, Oklahoma City, OK. 32 pp. Dewan,A.A. and Richmond,M.E. 2006. Monitoring and adaptive management. In: The New York State Comprehensive Wildlife Conservation Stategy. New York State Department of Environmental Conservation. Albany, NY, 18pp. Boyer, T., and W. L. Fisher. 2006. A Socio-Economic Evaluation of the Lower Illinois River. Final Report, Federal Aid in Sport Fish Restoration Grant F-58-R, Oklahoma Department of Wildlife Conservation, Oklahoma City, OK. 13 pp + appendices. Connelly, N.A. and T.L. Brown. 2006. Value of time commercial fishermen in Alaska could save with improved harbor facilities. HDRU Publ. No. 06-10. Dept. of Nat. Resour., N.Y.S. Coll. Agric. and Life Sci., Cornell Univ., Ithaca, N.Y. 37pp. Feund, J. G, W. L. Fisher, and A. A. Echelle. 2006. Digital atlas of Oklahoma fishes: preparation of data from Oklahoma State University. Final Report, State Wildlife Grant T-12-P, Oklahoma Department of Wildlife Conservation, Oklahoma City, OK. 32 pp. Rust, S., W. L. Fisher, and R. A. Marston. 2006. Fluvial geomorphology analysis of the Kiamichi River, Oklahoma. Final Report, State Wildlife Grant T-19-P, Oklahoma Department of Wildlife Conservation, Oklahoma City, OK. 79 pp. Malecki, R., S. Sheaffer, D. Howell, and T. Strange. 2006. Northern Pintails in eastern North America: Their seasonal distribution, movement patterns, and habitat affiliations. Atlantic Flyway Council Waterfowl Technical Section. Final Report. 67 pp. Fuller, A. K., D. J. Harrison, B. J. Hearn, and J. A. Hepinstall. 2006. Landscape thresholds and responses to habitat loss and fragmentation by martens in Newfoundland and Maine. Final contract report to Natural Resources Canada: Canadian Forest Service, Western Newfoundland Model Forest, Newfoundland-Labrador Inland Fish & Wildlife Division, Abitibi Consolidated, Corner Brook Pulp and Paper, and Newfoundland and Labrador Forest Service. 92 pp. Laba, M., S.D. Smith, M.E. Richmond, E.M. Barnaba, R. Downs, S. Hoskins, S. Welsh, D. Klinger. 2006. Discriminating and Mapping Invasive Plant Species Using Advanced Remote Sensing Technology. Final Report Submitted to The NOAA/UNH Cooperative Institute for Coastal and Estuarine Environmental Technology (CICEET). April 1. Fisher, W. L., and M. S. Gregory. 2005. Oklahoma Gap Analysis Project. Gap Analysis Bulletin No. 13. Dauwalter, D. C., D. K. Splinter, W. L. Fisher, and R. A. Marston. 2006. Aquatic Habitat Inventory of Eastern Oklahoma Streams. Final Report, Federal Aid in Sport Fish Restoration Grant F-55-R, Oklahoma Department of Wildlife Conservation, Oklahoma City, OK. 246 pp. Connelly, N.A. and T.L. Brown. 2006. Demands for harbors, dockage, and other navigational needs for small boat and commercial fishing vessels in Alaska. HDRU Publ. No. 06-2. Dept. of Nat. Resour., N.Y.S. Coll. Agric. and Life Sci., Cornell Univ., Ithaca, N.Y. 114pp. Nishida, T., B. Fisher, S. Srivastava, T. Jantunen, S. DeSilva, H. Matsuura, and T. Gunawan. 2005. Application of GIS and remote sensing technologies in inland fisheries management and planning in Asia. Seminar on Inland Fisheries Management. Asian Productivity Organization, New Delhi, India. 60 pp. Fuller, A. K., and D. J. Harrison. 2005. Influence of Forest Practices on Stand and Sub-Stand Scale Habitat Selection and Movements of Canada Lynx. Pages 56 – 60 in Maine Cooperative Forestry Research Unit 2004 Annual Report, Maine Agricultural and Forest Experiment Station, Miscellaneous Report 435, University of Maine, Orono, Maine. Robinson, L., D. J. Harrison, W. B. Krohn, and A. K. Fuller. 2005. Responses of snowshoe hares and Lynx to alternative forest harvesting practices. Maine Cooperative Forestry Research Unit 2004 Annual Report, Maine Agricultural and Forest Experiment Station, Miscellaneous Report 435, University of Maine, Orono, Maine. Holevinski, R. 2004. Progress Report on Status and Ecology of Mute Swans in New York State submitted to NYSDEC, Bureau of Wildlife, Albany, NY. 24 pp. Paper, and Abitibi Consolidated. 86 pp. Connelly, N.A., J.T. Weber, and T.L. Brown. 2004. Impacts of water level changes on recreational boating use within the Mohawk Territory of Akwesasne. HDRU Publ. No. 04-7. Dept. of Natural Resources, NYS College of Agric. and Life Sci., Cornell University, Ithaca, NY. 9 pp. Skaley, James E. and Milo E. Richmond. 2005. Design of a partnership framework to Implement an IPM model for management of Aquatic Invasive Plants in the Adirondack Park, NY. Final Report. 46 pp. Skaley,Jim and M.E.Richmond. The Fingerlakes-Lake Ontario Water Protection Alliance as a Guide to Self-Governance and Sustainable Conservation Action for New York Counties. Final Report on U.S.D.A.-Hatch Grant. Fisher, W. L., C. Jones, W. Layher, and E. Brinkman. 2005. Instream flow modeling for mussels and fishes in southeastern Oklahoma. Final Report, State Wildlife Grant T-8-P, Oklahoma Department of Wildlife Conservation, Oklahoma City, OK. 162 pp. Fisher, W. L., J. R. Bidwell, C. A. Davis, D. Turton, and C. C. Vaughn. 2005. Review and summarization of literature pertaining to the ecosystem flow requirements for the Kiamichi River above Hugo Lake and Little River watershed in Oklahoma. Final Report, State Wildlife Grant T-7-P, Oklahoma Department of Wildlife Conservation, Oklahoma City, OK. 124 pp. Schaffler, J., M. Mauck, D. Winkelman, and W. L. Fisher. 2005. Survival, growth, and recruitment of larval and juvenile striped bass in Lake Texoma. Final Report, Federal Aid in Sportfish Restoration Grant F-56-R, Oklahoma Department of Wildlife Conservation, Oklahoma City, OK. 119 pp. Malecki, R. and Canada Goose Committee of the Atlantic Flyway Waterfowl Council. 2005. A management plan for the Atlantic Population of Canada geese. Submitted by the Canada Goose Committee to the Atlantic Flyway Waterfowl Council. 41 pp. Malecki, R. and Canada Goose Committee of the Atlantic Flyway Waterfowl Council. 2005. Atlantic Flyway Canada goose cooperative research and survey program: 2007-2011. Submitted by the Canada Goose Committee to the Atlantic Flyway Waterfowl Council. 17 pp. Smith, C.R. 2005. Finger Lakes National Forest, NY Butterfly Count. 2004 Report NABA Butterfly Counts, p. 80. North American Butterfly Association, Morristown, NJ. 96 pp. Connelly, N.A., J.-F. Bibeault, J. Brown, and T.L. Brown. 2005. Estimating the economic impact of changing water levels on Lake Ontario and the St. Lawrence River for recreational boaters and associated businesses: Executive summary. HDRU Publ. No. 05-2. Dept. of Nat. Resour., N.Y.S. Coll. Agric. and Life Sci., Cornell Univ., Ithaca, N.Y. 17 pp. Holevinski, R. and K. Clarke. 2005. Status and ecology of mute swans in New York State. Annual Report for 2004-2005. 22 pp. Fuller, A. K., and D. J. Harrison. 2005. Influence of Forest Practices on Stand-scale Habitat Selection by Lynx in Northern Maine: Preliminary Results in L. S., Kenefic, and M. J. Twery, editors. Changing Forests – Challenging Times: Proceedings of the New England Society of American Foresters 85th Winter Meeting; 2005 March 16-18 2005; Gen. Tech. Report NE-325. Newtown Square, PA: U.S. Department of Agriculture, Forest Service, Northeastern Research Station:13. Connelly, N.A., J.-F. Bibeault, J. Brown, and T.L. Brown. 2005. Estimating the economic impact of changing water levels on Lake Ontario and the St. Lawrence River for recreational boaters and associated businesses. HDRU Publ. No. 05-1. Dept. of Nat. Resour., N.Y.S. Coll. Agric. and Life Sci., Cornell Univ., Ithaca, N.Y. 153 pp. Smith, C.R. 2005. Bird Watching. pp. 181-182. In P. Eisenstadt (ed. ), The Encyclopedia of New York State, Syracuse University Press. Smith, C.R. 2005. Birds. p. 180. In P. Eisenstadt (ed. ), The Encyclopedia of New York State, Syracuse University Press. Utrup, N. J., and W. L. Fisher. 2004. Development of fish sampling protocols for large non-wadeable rivers in Oklahoma. Final Report. Oklahoma Department of Wildlife Conservation, Oklahoma City, OK. 31 pp. Utrup, N. J., W. L. Fisher, and J. R. Bidwell. 2004. Rapid bioassessment protocols for non-wadeable rivers in Oklahoma. Final Report. Oklahoma Water Resources Board, Oklahoma City, OK. 38 pp. Malecki, R. 2004. Monitoring climatic conditions on AP breeding grounds. Report to the Canada Goose Committee of Atlantic Flyway Technical Section. 3 pp. May. Dauwalter, D. C., R. G. Hyler, M. A. Dunham, and W. L. Fisher. 2004. Responses of fish populations to the installation of rock vanes in Spring Creek, Oklahoma. Pages 49-52 in J. R. Copeland, F. Fiss, P. E. Balkenbush, and C. S. Thomason, editors. Warmwater streams symposium II. Available: www.sdafs.org/wwstreams/wwsc1.htm. Dauwalter, D. C., W. L. Fisher, R. A. Marston, and D. K. Splinter. 2004. Random selection of stream sites: an important step in fluvial geomorphic and fishery surveys. Pages 30-33 in J. R. Copeland, F. Fiss, P. E. Balkenbush, and C. S. Thomason, editors. Warmwater streams symposium II. Available: www.sdafs.org/wwstreams/wwsc1.htm. Fisher, W. L., and J. P. Burroughs. 2004. Stream fisheries management in the southeastern United States: trends from a survey of state agencies. Pages 34-37 in J. R. Copeland, F. Fiss, P. E. Balkenbush, and C. S. Thomason, editors. Warmwater streams symposium II. Available: www.sdafs.org/wwstreams/wwsc1.htm. Utrup, N. J., and W. L. Fisher. 2004. Sampling considerations for assessing prairie river fish assemblages. Pages 26-29 in J. R. Copeland, F. Fiss, P. E. Balkenbush, and C. S. Thomason, editors. Warmwater streams symposium II. Available: www.sdafs.org/wwstreams/wwsc1.htm. Laba, M., S. Smith and M. Richmond. 2004. Purple Loosestrife Research and Mapping for the Hudson River Valley Study Area. Final Report for the Nongame and Habitat Unit, New York State Department of Environmental Conservation. 34 pp, 9 figures, 2 appendices, and 20 maps. Smith, S., W.A. Brown, C.R. Smith and M.E. Richmond. 2004. Habitat Vulnerability Assessment for the Hudson River Valley. Final Report for the Hudson River Foundation, NY. 65 pp., 22 figures. Malecki, R., T. Strange, and S. Sheaffer. 2004. Relationship of northern pintail ducks in the Atlantic Flyway to the continental pintail population. Report to the Atlantic Flyway Council Technical Section. 5 pp. March. Sheaffer, S., R. Malecki, B. Swift, and J. Dunn. 2004. Molt migration of Atlantic Flyway Resident Population Canada geese. Report to the Atlantic Flyway Council Technical Section. 19 pp. March. Smith, C.R. 2004. Finger Lakes National Forest, NY Butterfly Count. 2003 Report NABA Butterfly Counts, p. 80. North American Butterfly Association, Morristown, NJ. 100 pp. Zucker, Leslie. 2004. Hudsonia's Biodiversity Education Program (AMOU 207-5). Progress Report on 2003-04 Program Year to the NYS Department of Environmental Conservation. 1 page. Utrup, N. J., W. L. Fisher, and J. R. Bidwell. 2004. Development of rapid bioassessment protocols for non-wadeable rivers in Oklahoma. Final Report, RWO 27. U. S. Geological Survey, Biological Resources Division, Stillwater, OK. 9 pp. Smith, C.R. 2003. Finger Lakes National Forest, NY Butterfly Count. 2002 Report NABA Butterfly Counts, p. 79. North American Butterfly Association, Morristown, NJ. 100 pp. Sheaffer, S.E. 2003. Impact of Special Early Harvest Seasons on Subarctic-Nesting and Temperate-Nesting Canada Geese. Final Report for Research Work Order #45 to the U.S. Geological Survey, Cooperative Research Units Headquarters, Reston, VA. 77 pp. Sheaffer, S.E. 2003. Survival and Harvest of Southern James Bay Population Canada Geese. Final Report for Research Work Order #50 to the U.S. Geological Survey, Cooperative Research Units Headquarters, Reston, VA. 66 pp. Connelly, N.A., K.M. Guerrero, and T.L. Brown. 2002. Impacts of Changing Water-Levels on Lake Ontario and St. Lawrence River Marinas and Yacht Clubs. Recreational Boating and Tourism Technical Work Group Synthesis Paper #2-US, 5 pgs. (Research Work Order #49 Interim Report). Connelly, N.A., K.M. Guerrero, and T.L. Brown. 2002. New York State Inventory of Great Lakes' Marinas and Yacht Clubs - 2002. Recreational Boating and Tourism Technical Work Group Synthesis Paper #1, 2 pgs. (Research Work Order #49 Interim Report). Holevinski, R. 2003. Use of hazing techniques to increase dispersal and lower survival of resident Canada geese. Interim Project Report. 22 pp. Smith, C.R., M.E. Richmond, and S.D. DeGloria. 2002. The New York Gap Analysis Project: Results and Conclusions. In: Northeast Natural History Conference Abstracts, New York State Museum, State Education Department, Albany, NY, p. 74. Connelly, N.A., K.H. Guerrero, and T.L. Brown. 2002. New York State Inventory of Great Lakes' Marinas and Yacht Clubs - 2002. HDRU Series No. 02-4. Human Dimensions Research Unit, Department of Natural Resources, Cornell University, Ithaca, NY. (Research Work Order #49 Interim Report). 30 pgs. Meixler, M.S. and M.B. Bain. 2002. Peconic River habitat assessment and fish biomass prediction. Report by Cornell University, Ithaca, NY to Brookhaven National Laboratory. 31 pp. Fisher, W. L., and M. S. Gregory. 2002. Managing biodiversity in Oklahoma: a case for private land conservation. Gap Analysis Bulletin No. 10:6-8. Lor, S. and R. Malecki. Call-response surveysto monitor marsh bird population trends.Wildlife Society Bulletin. Mitchell, L. and R. Malecki. 2002. Use of prescribedfire for management of old fields in the northeast.National Congress on Fire Ecology, Prevention, and ManagementProceedings, No. 1. Tall Timbers Research Station,Tallahassee, FL. Alisauskas, R. and R. Malecki. 2002. Direct control methods for population reductions oflight geese in the Arctic. In "Direct Controland Alternative Harvest Strategies for NorthAmerican Light Geese" report of Arctic GooseJoint Venture Committee of North AmericanWaterfowl Management Program. Smith, S., M. Laba, and M. Richmond. 2002.Methods and procedures for detection and mappingof wetland plants from enhanced thematic mapper imagery. Final Report delivered to the NYS Departmentof Environmental Conservation, Bureau of Habitat.26 pp. Mayack, D., J. Loukmas, and M. Richmond. 2001.Polychlorinated Biphenyl (PCB) Levels in Mink,Otter, and Muskrat and Trapping Results for Minks.Summary report to the NYS Department of EnvironmentalConservation for the years 1998-2000. 23 pp. Coleman, J.T., M.E. Richmond, and M. Perkins. 2001. Thebreeding success of Common Terns, Sterna hirundo, on OneidaLake in the 2001 breeding season. A report to the New YorkState Department of Environmental Conservation. 14 pp. Coughlin, W. D., A. A. Echelle, R. A. Van Den Bussche, L. M. Cofer, and W. L. Fisher. 2001. Genetic structure of spotted bass in Oklahoma. Final Report. Oklahoma Department of Wildlife Conservation, Oklahoma City, OK. 23 pp. Brown, K.M., M.E. Richmond, and R.M. Erwin. 2001. Aspects of the breeding biology and foraging ecology of Laughing Gulls in the Jamaica Bay-Kennedy Airport complex: a basis for future wildlife management decisions. Technical Report to the National Park Service. 131 pp. August 31. Tejan, E. C., and W. L. Fisher. 2001. Development of a stream fisheries management information system for Oklahoma. Final Report. Oklahoma Department of Wildlife Conservation, Oklahoma City, OK. 46 pp. Fisher, W. L., and M. S. Gregory. 2001. The Oklahoma Gap Analysis project. Final Report. U. S. Geological Survey, Biological Resources Division, Moscow, ID. 91 pp. + appendicies. Smith, C.R., S.D. DeGloria, M.E. Richmond, S.K. Gregory, M. Laba, S.D. Smith, J.L. Braden, E.H. Fegraus, J.J. Fiore, E.A. Hill, D.E. Ogurcak, J.T. Weber. 2001. The New York Gap Analysis Project Final Report. New York Cooperative Fish and Wildlife Research Unit, Department of Natural Resources, Cornell University, Ithaca, NY. 134 p. + append. Eckerlin, G.E., K.E. Mills, and M.B. Bain. 2001. Fish support function of submerged aquatic vegetation in the Hudson River. Annual Report to the New York Department of Environmental Conservation, Cornell Center for the Environment, and the Hudson River National Estuarine Research Reserve, New York Cooperative Fish and Wildlife Research Unit, Cornell University, Ithaca, New York. 13 pages (exclusive of tables, figures, and data appendices). Loucks, D.P., M.B. Bain, W.A. Brown, W.R. Lynn, and T.S. Steenhuis. 2000. Development and Implementation of Decision Support Systems for Predicting Economic and Ecologic Impacts of Alternative Land and Water Management Policies. Final Report by the Cornell Center for the Environment to the National Science Foundation for grant DEB-9726860. Malecki, R. 2000. Atlantic Flyway Cooperative Canada goose management and research program for 2002-2007. Project document compiled for the Atlantic Flyway Waterfowl Council and Technical Section. 20 pp. Mills, K.E. and M.B. Bain. 2000. Fish support function of submerged aquatic vegetation in the Hudson River. Progress Report by the New York Cooperative Fish and Wildlife Research Unit to the Center for the Environment, Ithaca, New York, USA. 11 pages (exclusive of tables, figures, and data appendices). Sheaffer, S. and R. Malecki. 2000. Evaluation of survey and band recovery data for monitoring annual changes in harvest rates and estimating the size and composition of the harvest of Canada geese in the Atlantic Flyway. Final Report to the Atlantic Flyway Waterfowl Council's Technical Section. 14 pp. Loukmas, J.J., D.T. Mayack, and M.E. Richmond. 2000. Organochlorine and metal contaminant levels in Hudson River mammals. Annual Report to the New York State Department of Environmental Conservation. 56 pp. Fisher, W. L., and W. J. Remshardt. 2000. Instream flow assessment of Baron Fork Creek, Oklahoma. Final Report, Oklahoma Water Resources Board, Oklahoma City, OK. 44 pp. Fisher, W. L., R. Hyler, and J. Long. 2000. Evaluation of a differential harvest regulation on black bass populations in Skiatook Lake, Oklahoma. Final Report, Oklahoma Department of Wildlife Conservation, Oklahoma City, OK. 121 pp. Mitchell, L. R., C. R. Smith, and R. A. Malecki. 2000. Ecology of grassland breeding birds in the northeastern United States - a literature review with recommendations for management. NY Cooperative Fish and Wildlife Research Unit, Department of Natural Resources, Cornell University, Ithaca, NY. 69 pp. Loukmas, J. J., M. E. Richmond, and D. T. Mayack. 1999. Organochlorine and Metal Contaminant Levels in Hudson River Mammals. Annual Report to the New York State Department of Environmental Conservation. 27 pp. Fisher, W. L., D. M. Leslie, Jr., M. L. Cole, and W. S. Chappell. 1998. GIS-based biological resources inventory of the Tishomingo National Wildlife Refuge. Final Report to Trust for Public Land, Santa Fe, NM and U.S. 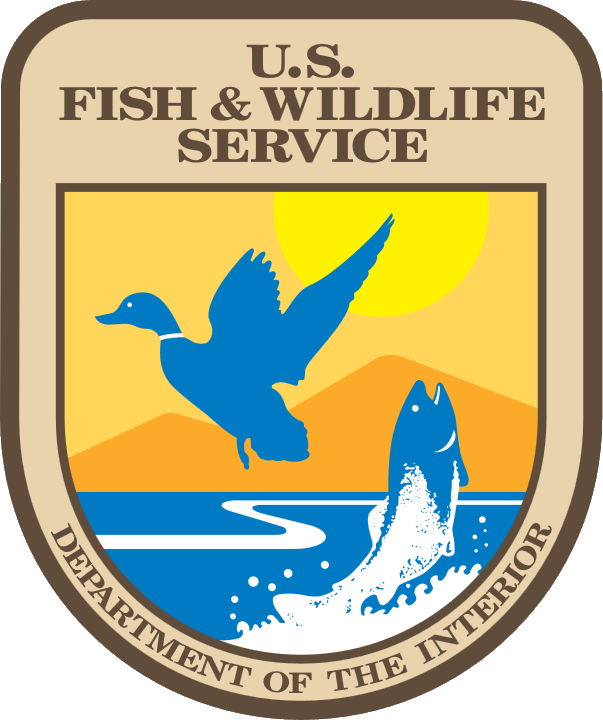 Fish and Wildlife Service, Albuquerque, NM. 186 pp + CD-ROM. Corley/Martinez, B. A., W. L. Fisher, and D. M. Leslie, Jr. 1995. GIS-based validation of the Habitat Suitability Model for the great blue heron. Final Report to the U.S. National Biological Service, Division of Cooperative Research, Washington, D.C. 69pp.